Not an accessory - A Necessity! "Doug, Admittedly a little skeptical, I installed the Ultra SSs on my (TIDAL) preamp and (dCS) Puccini not expecting too much. The results were nothing short of magical. More defined bass plus the voices and instruments appeared to float within the soundstage. I removed the SSs from under the components and installed them on the speakers...the SSs will stay under the speakers. I put the (Ultra) 5s under the amp and was pleasantly surprised with yet another increase in clarity, soundstage and imaging as instruments and vocals rose above the speakers. Just wanted to let you know that with the Stillpoints SS installed on my turntable, vinyl has never sounded better. The only component that is not fitted with Stillpoints is the U-clock, which I will eventually get to. Now if you just had adapters for my listening chair, my system would be complete! - Rick"
"Doug, I put 3 of the 5's' under my Music Player last night and the improvement is AMAZING....so much better snap to strings struck.. better intonation to voices... piano sounds amazing... highs are ....higher...WOW ... The improvement is so amazing. Just when you think the sound can't get any better.... along comes a tweak and ..voila...it's better...COOL..THANKS! - Dave" Nuff Said! 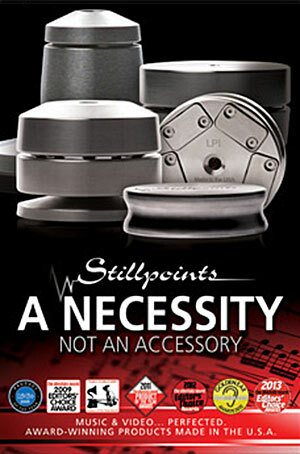 The Voice That Is - proud to be the exclusive dealer for the special StillPoint adapters that fit TIDAL Audio electronics. Stillpoints ESS Racks represent a new standard in audio component isolation. As visually striking as they are sonically effective, the ESS Racks provide your system with the solid foundation it needs to truly perform at its peak. Nothing is added to your system's sound, but you will be amazed at how much unwanted clutter was hovering there, begging to be eliminated. The low end gains resolution and tightness, the midrange clearer and more articulate, while the higher frequencies become as sweet as your system can handle. Stillpoints ESS Racks are available in a 3, 4, or 5-shelf option. Each model is equally effective at isolating your system. Additional models and various upgrade options may be available via special order, so please call us to learn more about these incredible equipment racks. 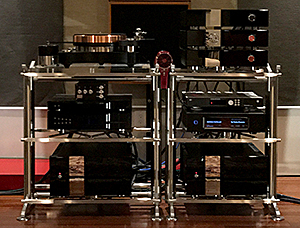 "Adding the Stillpoints racks to my system was not like changing a component because there were no sonic tradeoffs. The ESS racks don't force you to pay a penalty in one area to get what could be an overall improvement in many others. 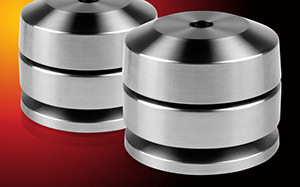 Rather, the Stillpoints products raise the performance of every aspect of the system and degrade none. No listener in my view would ever prefer the system without Stillpoints. 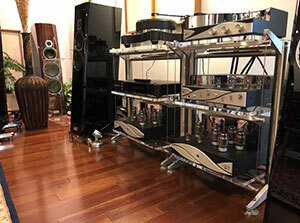 Moreover, if you already like the sound of your system, you'll like it even more. 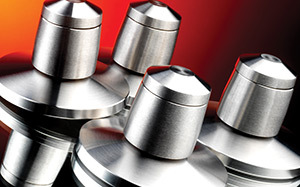 Stillpoints products provide a platform for your components to reveal more of their intrinsic qualities. Switching to the ESS racks didn't change the character of the components they housed but instead seemed to liberate those components from a low-level murkiness that obscured their personalities. The ESS racks brought a clarity and resolution to the system that threw into sharper relief differences between, for example, digital-to-analog converters or USB cables. It was like hearing more clearly through the playback system and recording chain what the microphones picked up." he Ultra 6 is the best Stillpoint to date for electronics. Stillpoints Ultra 5 is a larger, more robust version of the Ultra. 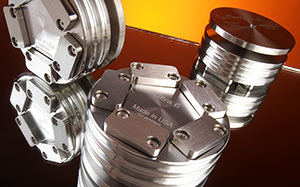 The Ultra 5 employs five pockets of Stillpoints technology per unit for maximum stability and vibration reduction. This is a massive improvement and provides a drastic increase in the level of isolation. One of the most sophisticated vibration control devices ever produced, the Ultra 5's inner pockets convert vibrations into energy, which is then released as heat, providing your system with consistent improvements in clarity, articulation, and soundstaging. Backgrounds become blacker, individual musical elements become more defined, and your overall musical experience becomes more enveloping. Once you hear what Ultra 5 can do for one component, you'll want them under all of your equipment - and the results will be even better.